Sparkles Christmas Challenge this month is "Oh Christmas Tree and you can thank Caz for giving us this boost to our creativity. I'm using my newest die for this card and I think it fits the bill for this month's challenge. I think this is a pretty little tree. To find out how you could win one of these great prizes, click on over to The Sparkles Christmas Challenge ... you could be a winner! 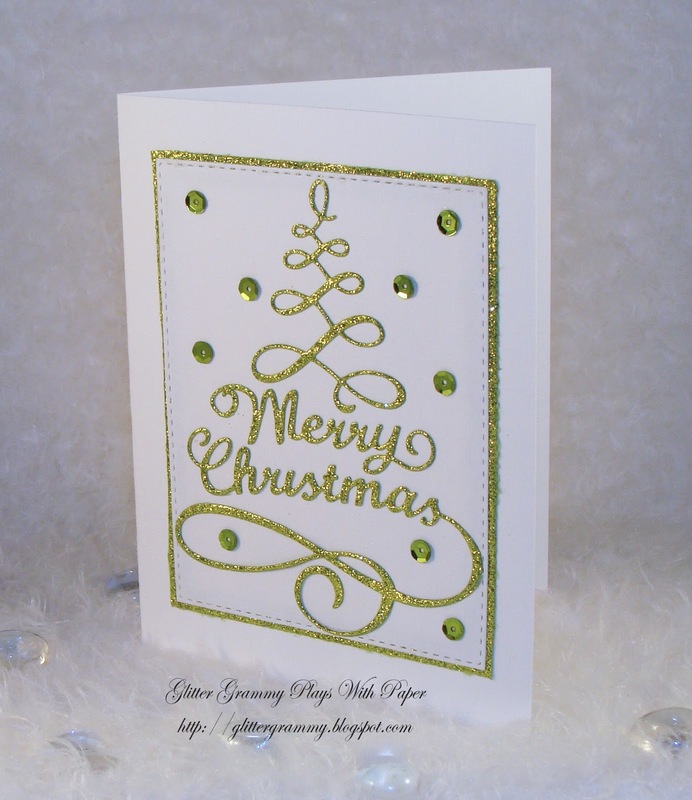 A stamped sentiment, a bit of sequins and my card is complete. I framed the die on the front of the card and I cut the die from glittered card stock. 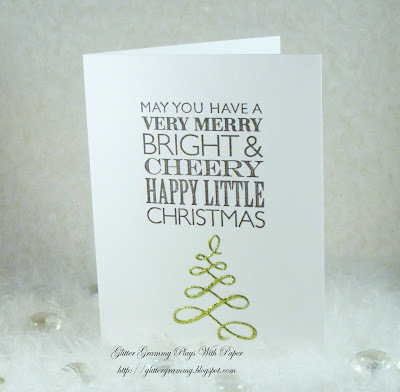 To make this card clean and simple you could omit the glittered frame. 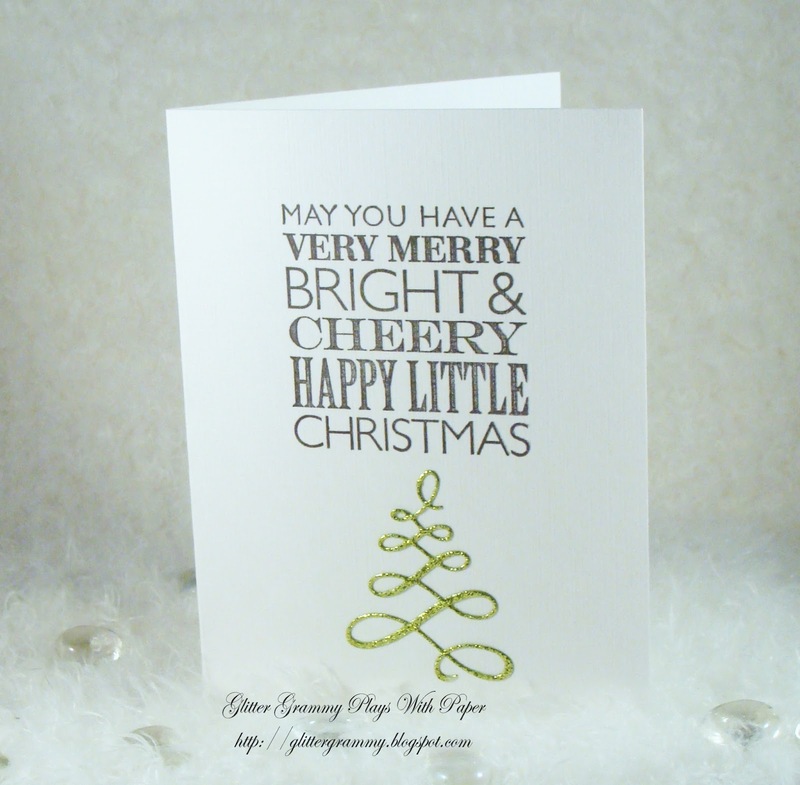 I'm trying to keep my Christmas cards simple. With postage what it is, any way to keep costs down works for me. Happy Crafting and Hugs from me to you!